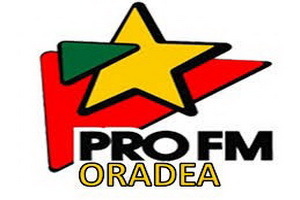 Pro FM Oradea 107,6 local ads and FFF-QSL! Thanks to the new FDXA Es alarm ring via WhatsApp I was live on the FM band from the very beginning on June 25th evening when Sporadic E woke up with cx to a quite wide angle from Croatia to Belgium. Later on began a rather common final cx session with Romania on the band. My DX equipments on fire in Toivio Pirkkala were Sony XDR-receiver with the genius Polish software XDR-GTK and a 5-element Triax FM-yagi with rotator on the roofing top. A Hungarian voice on 107,2 MHz faded away and soon I noted the very first Romanian station of this session on 107,6 at 1739 UTC: commercial break going on and after 40 seconds a clear Pro FM id, then more spots. Will be most fascinating to check the minidisk and possibly find some track with local origin from the ads. Few days later I had headphones on beside my Sony JB920 –minidisk deck and the 107,6 track really gave nice local identity for Pro FM: A hotel-restaurant and another firm from Oradea! Quick look to the map: Oradea is located close to the border of Hungary and it´s officially bilingual while 25 % speak Hungarian. As a 10th biggest city in the country with population almost like in Tampere Oradea (Nagyvárad in Hungarian) is not as well-known as Cluj-Napoca (Kolozsvár) which takes the major tourist streams in Romanian Transylvania. Putting then the station to OnLine Log I noticed that JTK has caught the same commercial break in Helsinki 3 minutes later when Pro FM already had faded to zero in Pirkkala, and that station is underlined and marked with plus. So if earlier loggings will not appear later on, my sudden reception of Pro FM Oradea local break was luckily the very first in Finland. After many years I even enjoyed to send a reception report to a FM-station and quickly got brief e-mail verification from the vanzari (sales) department. So my first FM FFF QSL came true, at least at the moment.